We all love a great story of redemption, but have you ever heard of a comeback story attributed to better hearing from hearing technology? For 61-year old Kurt Guillot, a patient at Audibel Hearing Center in Northern Florida, his Audibel hearing aids allowed him to return to the driver’s seat after almost twenty years away from the circuit! Now a contending racer in the Gulf Coast Racing Series, Kurt races against many that are forty years or more younger than him. A natural racing competitor, Kurt started racing at the early age of eight by racing go-karts and then motorcycles. Beginning in 1972, he entered the racing circuit at twenty-four years old where he competed for eighteen years before his hearing loss struggles eventually caused him to stop at forty-two years old. Being a common ailment of racing, Kurt wasn’t aware of the degree of his hearing loss until he visited his nephew, Tom Guillot, owner of Audibel Hearing Center. 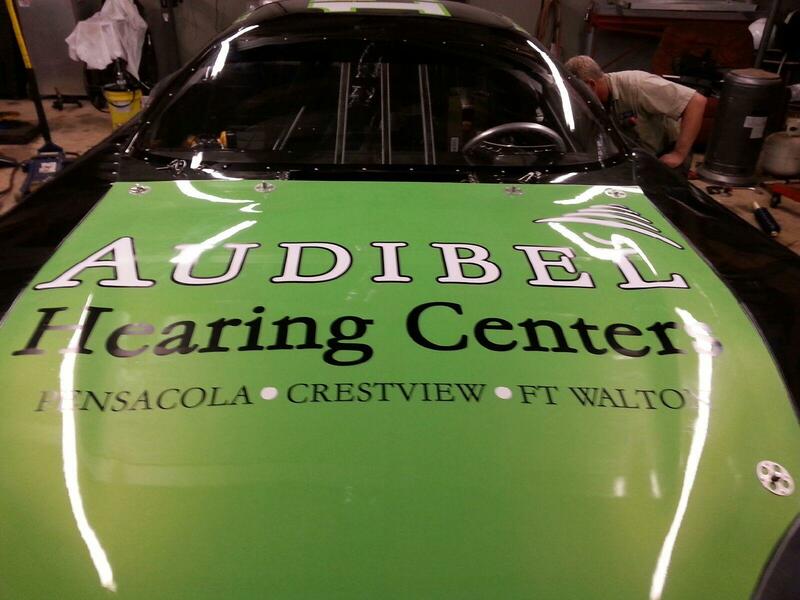 With help from Audibel Hearing Center Kurt completed a hearing evaluation and received a new pair of in-the-ear devices that allow him to hear his pit crew as he speeds down the track at 140 mph. As shown in the photos, his car is emblazoned with the logos of the business that helped improve his hearing. While Kurt is racing, Tom actively educates racing fans about the severity of the sound levels at the track. Race tracks can get upwards of 140 db, which is significantly higher than safe levels of 85 db, potentially causing damage to hearing in just fifteen minutes. To keep fans safe from overexposure to the loud noise levels, Tom gives away free earplugs so they can enjoy the race with minimal damage to their hearing. Kurt and Tom’s partnership is growing with every new race and should be elevated even further when Kurt competes in the Snowball Derby, the premier short track racing event of the year, in Tom’s hometown of Pensacola this winter. Also, they have created a short commercial, view it here, to help spread the message about the benefits of Audibel hearing aid technology and show Kurt in action flying around the track with ease. 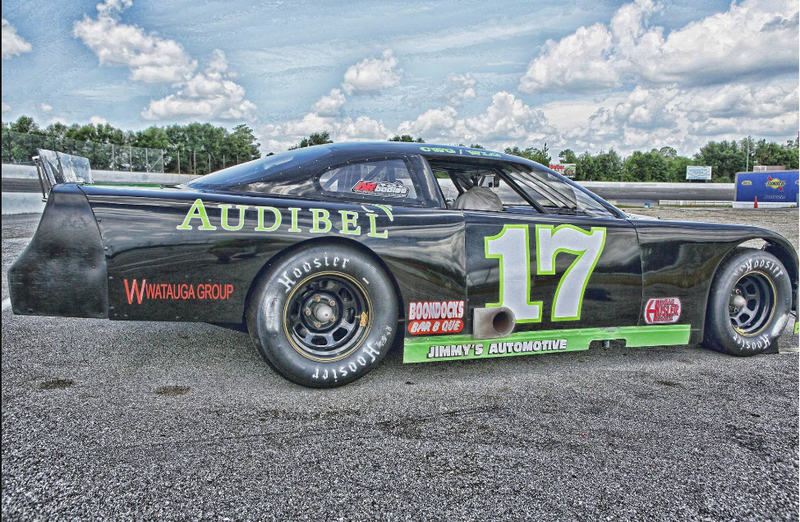 They both hope the renewed racing success Kurt is encountering will help both many racing fans use hearing protection at the track as well as inspire others with hearing loss struggles take the first step towards better hearing with Audibel in their area.